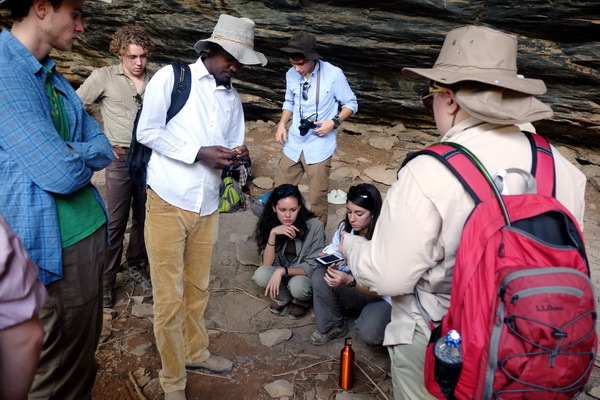 Origins Field School Spring 2018 begins! 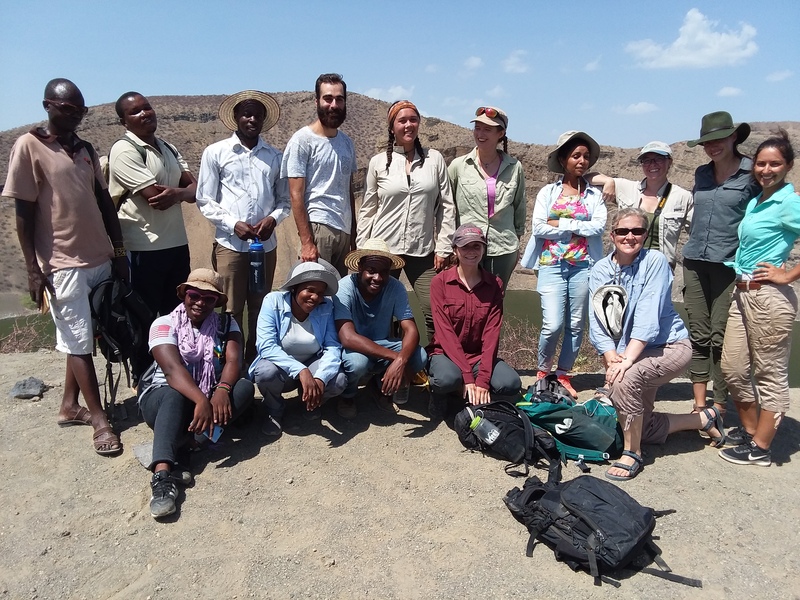 Home|Origins Field School Spring 2018 begins! 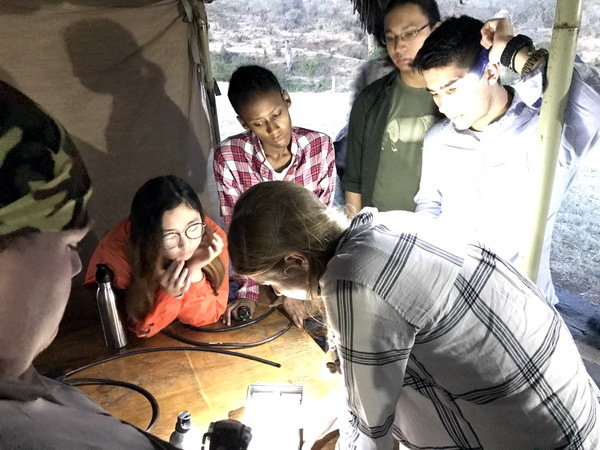 Welcome to the Origins Field School blog Spring 2018! My name is Deming Yang, Resident Academic Director for the field school. 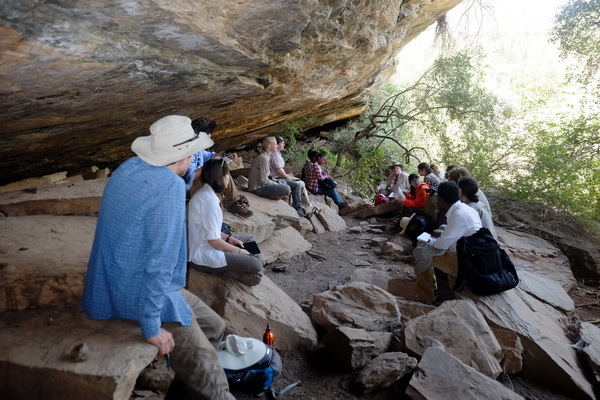 I will be accompanying the students, TA’s and instructors throughout all of the field school modules. 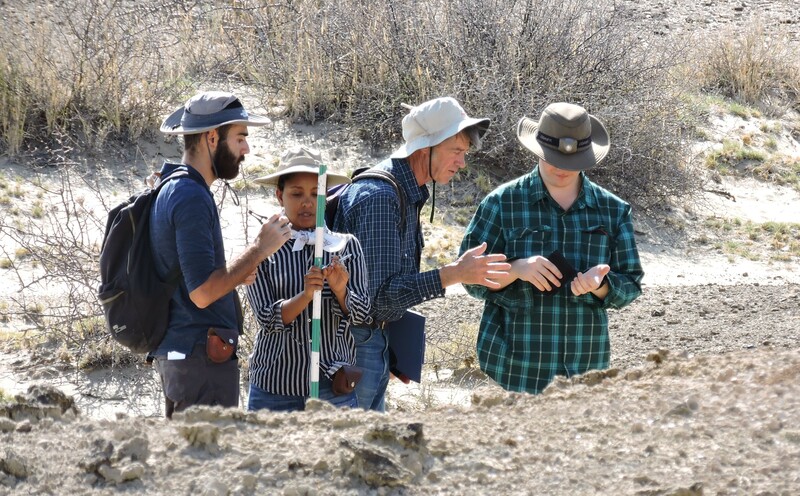 As part of the Field School support team, I will do my best to make sure that our students have an incredible learning experience that they will carry with them for the rest of their lives. 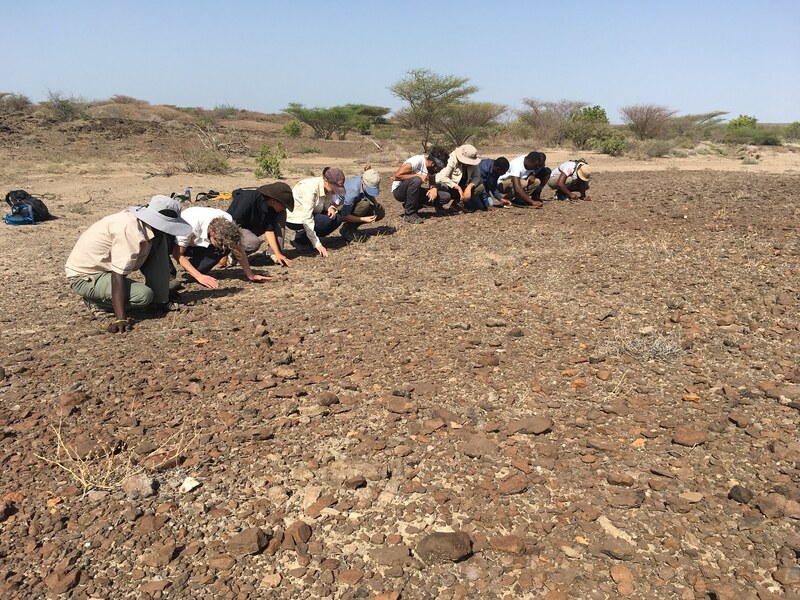 The Origins Field School will provide students with a series of modules focusing on the study of human origins, specifically with hands-on experience in the Turkana Basin, Kenya. 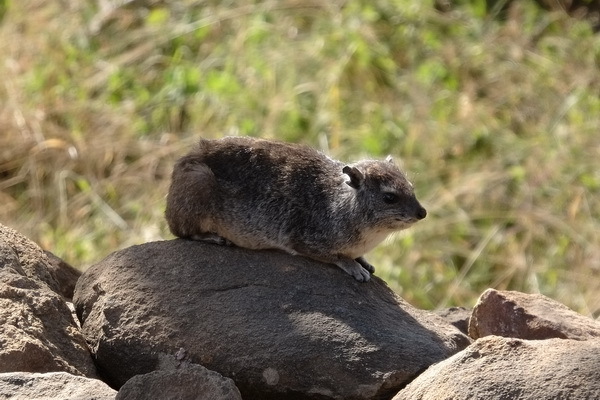 We start our journey with building an understanding of the relationships and interactions between animals, plants and climate in the present-day. This is a crucial step in deciphering the deep past of our origins because many ecological principles also applied back then. 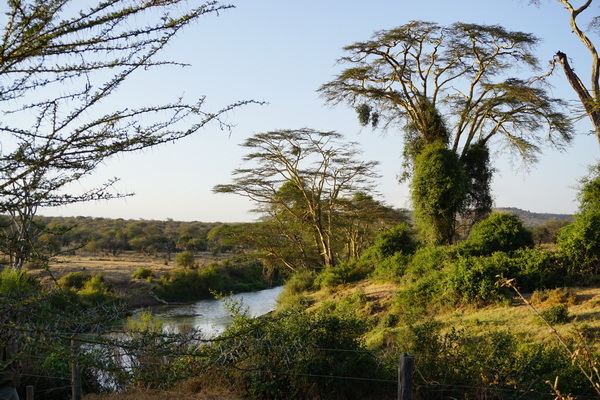 In the first module (Ecology), our students will have the opportunity to learn about two major ecosystems that are found in Kenya today. 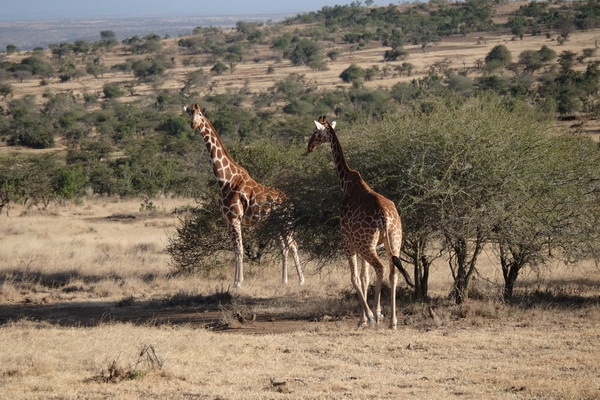 They are the savanna ecosystem and the dryland ecosystem. 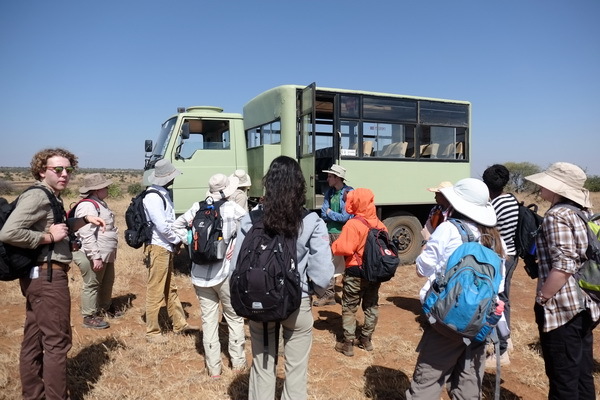 Our first stop is Mpala Research Center in Laikipia, Central Kenya, where long-term ecological research about the savanna ecosystem has been carried on for decades. 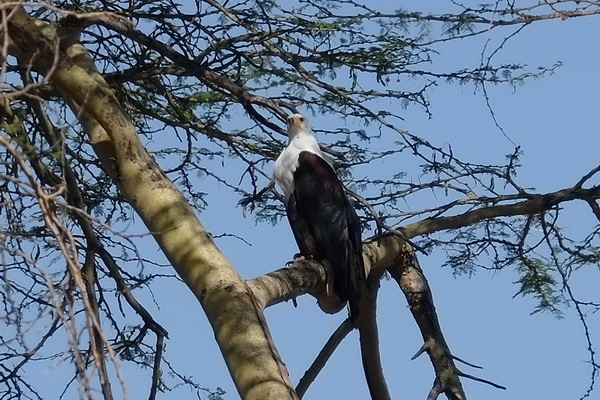 We will later move to TBI’s Ileret facility on the east side of Lake Turkaka to learn about dryland ecology. 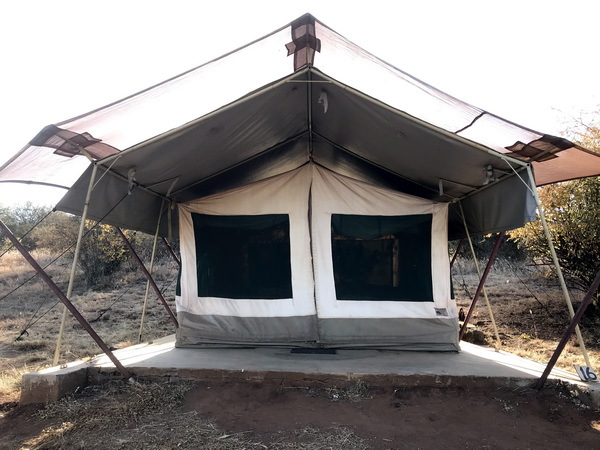 We arrived at Mpala safely on Thursday afternoon and we are staying at the wonderful River Camp, surrounded by amazing wildlife. 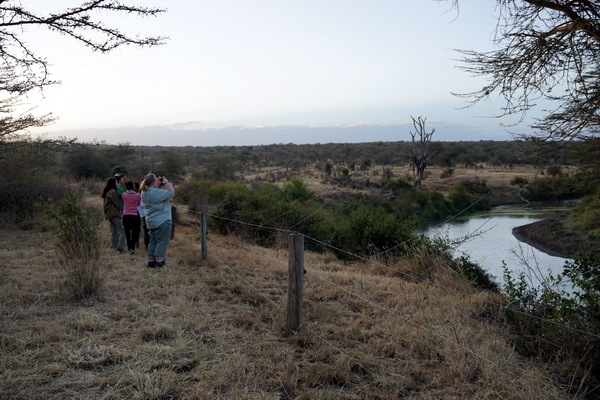 Students have enjoyed the evening scenes of elephants marching and feeding on the other side of the river, and waking up with the morning calls of various birds. 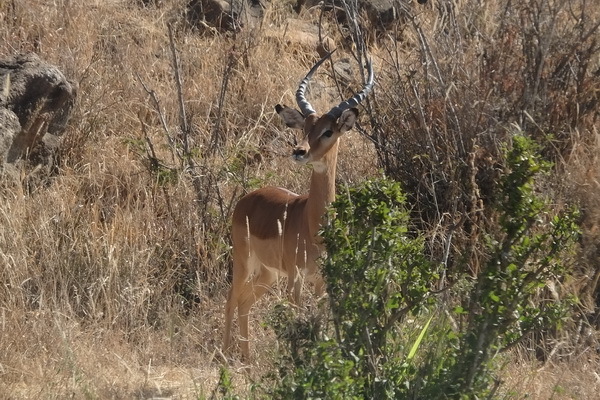 During the day, most mammals choose to hide in the bush to avoid the heat, and only come out at night when it is cooler. 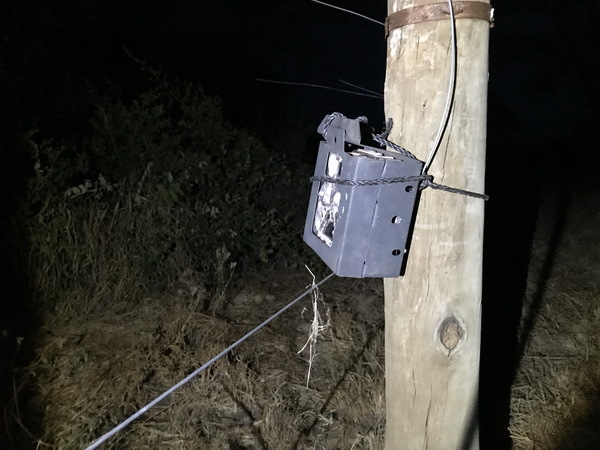 So one of the best ways to explore the night life of our campsite is by setting up camera traps that are triggered by motion sensors. 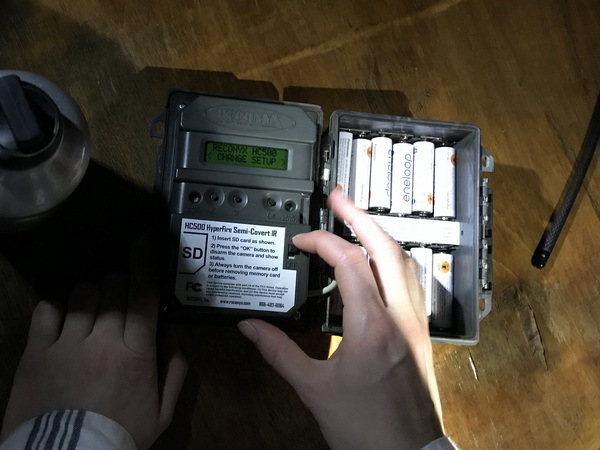 Students hope that by the end of our stay, we will have a better idea of what visitors we have when we are asleep. 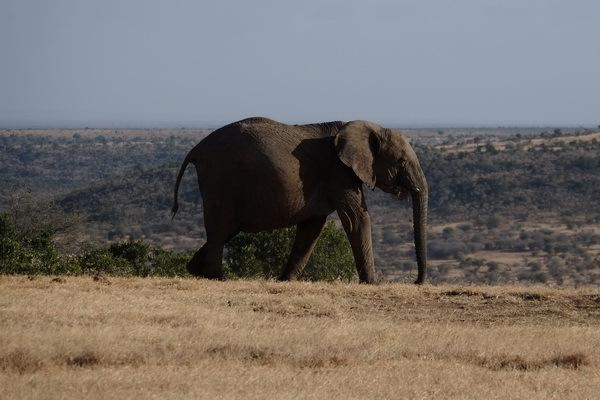 Students have also enjoyed some frequent game drives around Mpala Conservancy. 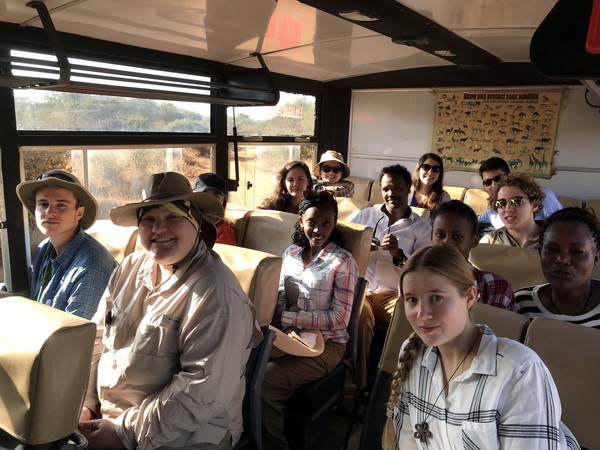 Ready for our first game drive! 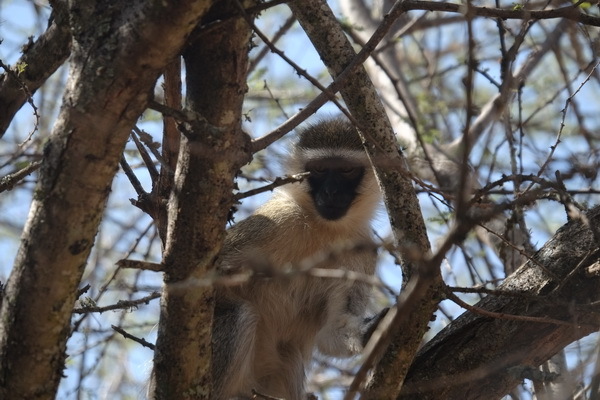 Take a look at some of the animals our students have seen so far! 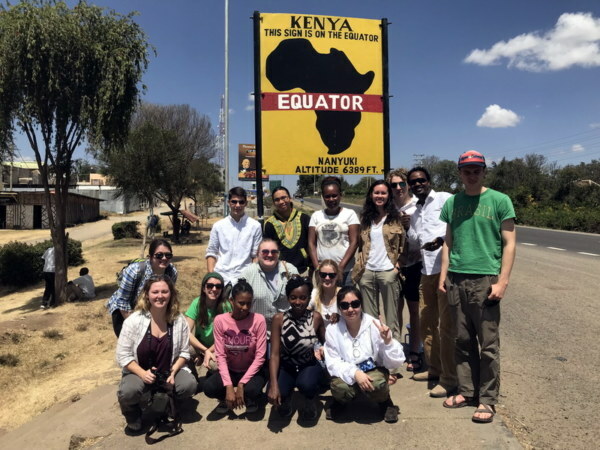 On Saturday, we also had the opportunity to visit the nearby town of Nanyuki for souvenir shopping and visiting the Equator! 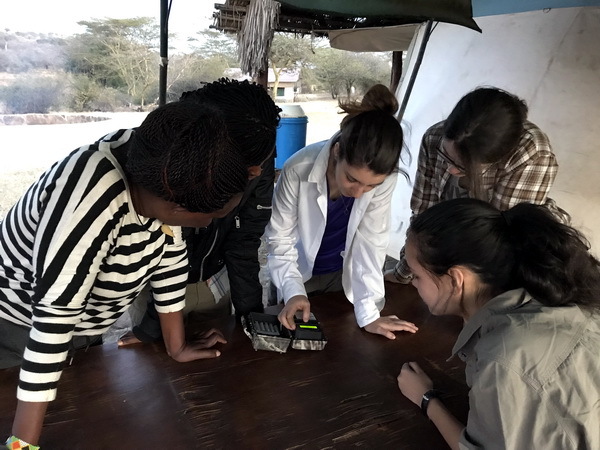 From an anthropologist’s point of view, the connection between humans and the environment has been a major frontier of research. 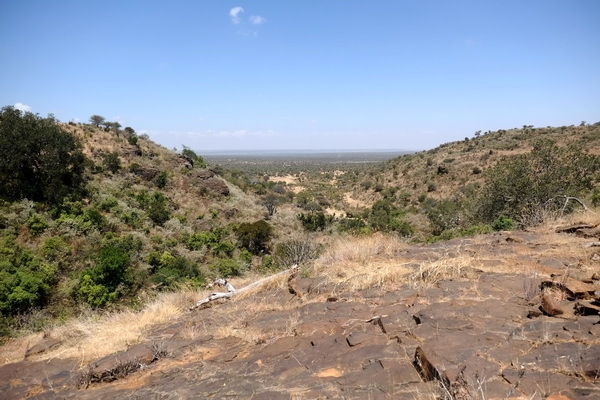 As it turns out, Mpala has a long history of human occupation, not just represented by the pastoralist groups that we know today, but also prehistoric culture. 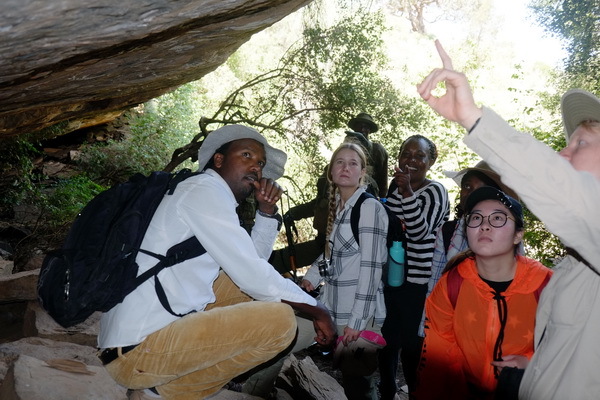 Our students were extremely fortunate to have the chance to visit a nearby rock shelter where there was perhaps human occupation until very recent. The shelter is huge and can easily accommodate a large group of people. 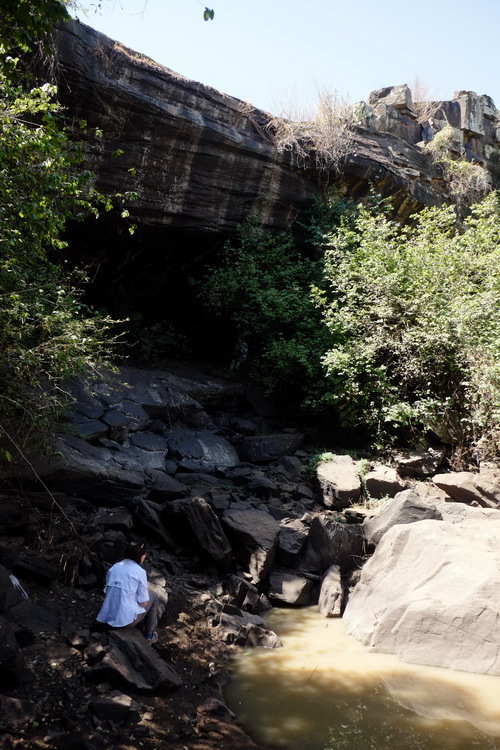 It is great place for a hideout or gathering, as local folktales have confirmed. 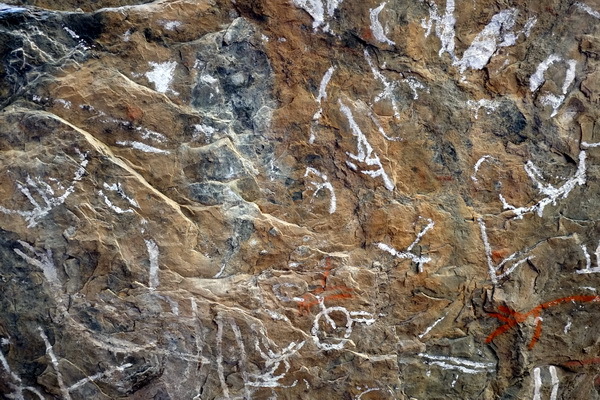 It has some amazing rock art probably from a few thousand years ago, depicting scenes of hunting and perhaps animal husbandry. 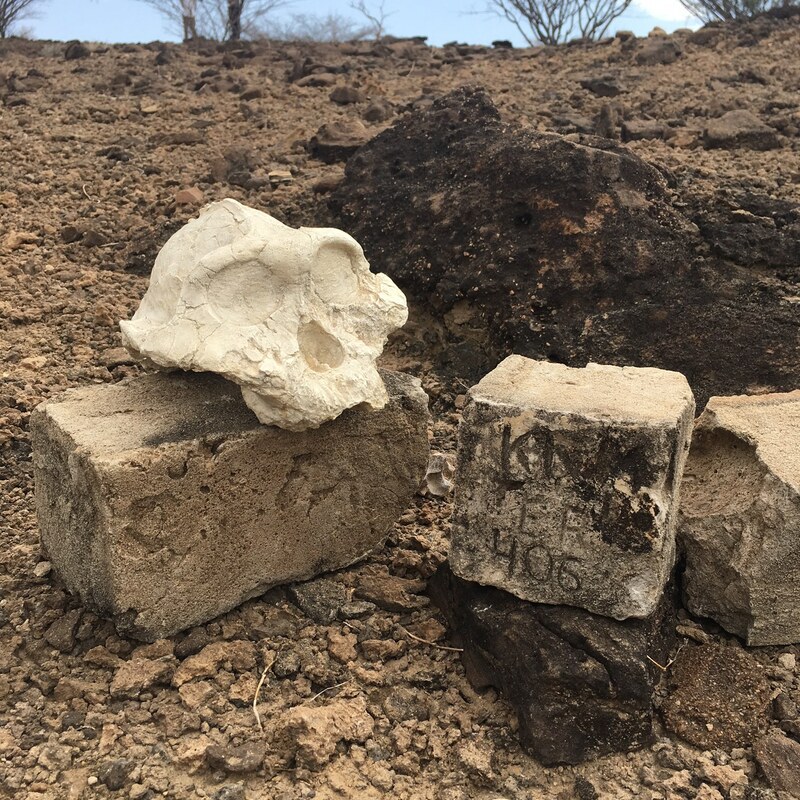 Among the debris of the shelter floor, students also found some stone tools and very recent animal remains, such as bones and teeth. 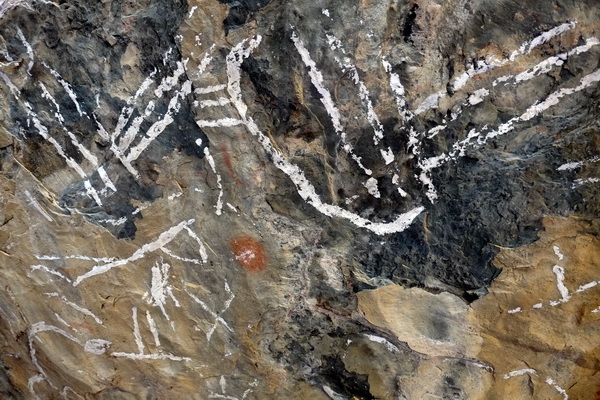 It is not clear whether the bones, tools and rock art have any association because of its likely intermittent occupation by humans and recent takeover by hyenas. 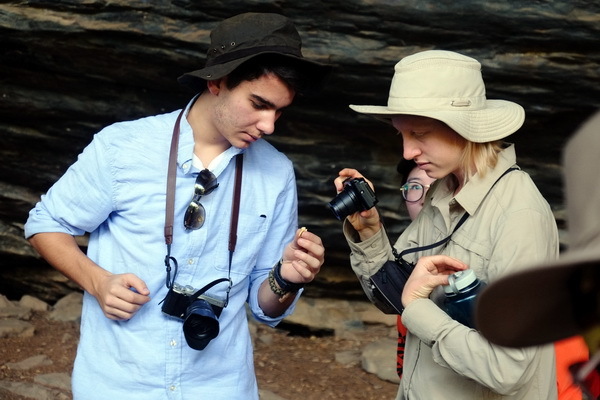 But students were still fascinated and inspired by the evidence of human interactions with the landscape at Mpala. There is rock art on the ceiling of the shelter! 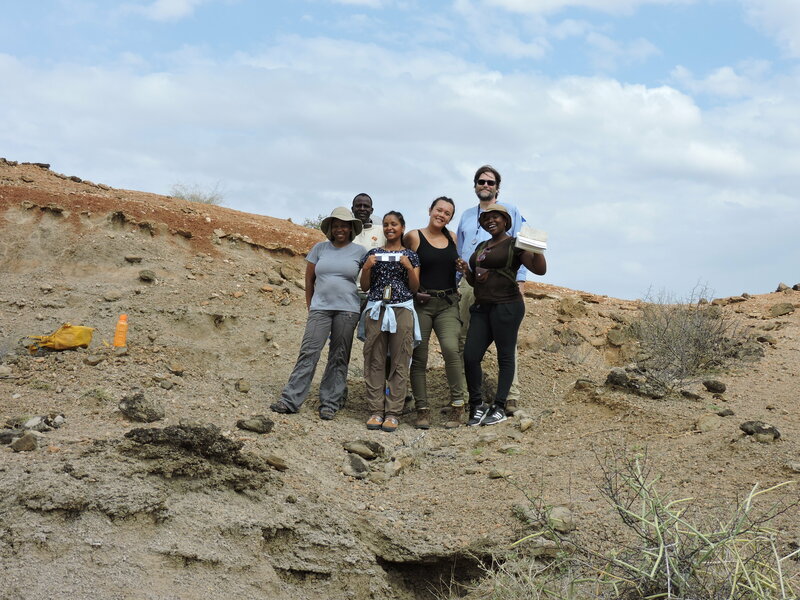 Please follow along with our journey through time and space for stories of human origins in Kenya. We will have frequent updates of more student activities on this blog. Stay tuned! 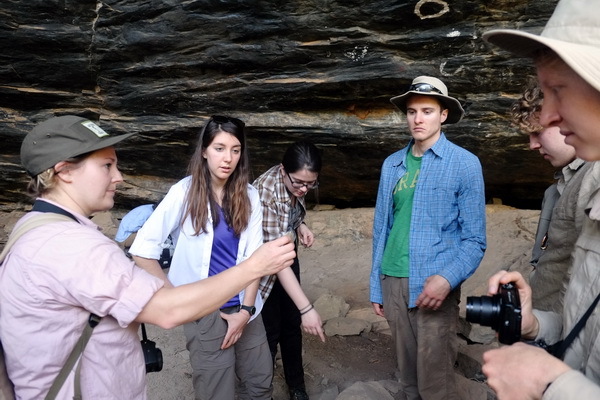 By Deming Yang|2018-04-30T07:00:14-07:00January 24th, 2018|Field Schools, Spring 2018|Comments Off on Origins Field School Spring 2018 begins!